Airtel prepaid plans can be your choice if you are after smart connection in the whole country. This company provides one of the best mobile services in Nigeria. Checkout Top 7 best data plans you can get using Airtel. Buy your first Airtel SIM Card. You will need to register the SIM card in the nearest Airtel registration point. Now you can insert your SIM card into the mobile phone. After that, you will need to recharge SmartConnect and enjoy your bonuses! What are the bonuses that you can get with the prepaid smart connect? First of all, it’s 100% bonus on all your recharges at the end of the month. Take a look at the detailed chart with the prepaid requirements for getting your bonus! Do not miss it! It’s one of the Airtel prepaid plans tariffs that you can get by default. Therefore, you don’t need to use any numbers to migrate to this plan. It’s also a good option for your calls. 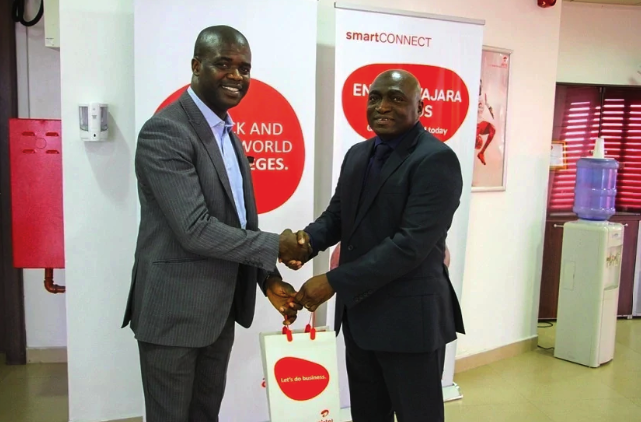 You will need to have at least 100 Naira on your mobile account to migrate to this Airtel Prepaid Plan Nigeria. It’s possible to migrate by typing *318#. According to this plan, your call is charged at 40k/sec after the first second of talk (major destinations abroad). At the same time, the price for networks within the borders of Nigeria is 11k/sec. Do not forget that you will get free income calls when roaming. Everyday data bonus on recharges is up to 150 MB. It’s one of Airtel prepaid plans that allows prepaid subscribers to get free roaming calls in 5 countries and 10 networks. It’s provided after recharging your mobile for five thousand Naira in one month. How can you migrate to this bonus? It’s quite simple. You just need to recharge your mobile account with five thousand Naira! You will get the access for all networks of Nigeria for just 11 kobos per one second. The daily charge fee is five Naira for your very first call of the day. The international calls according to this tariff are just 20 kobos per second. All subscribers can migrate to this Airtel prepaid data plan just by typing *315#. The migration to this tariff plan is free. Nevertheless, you should remember that you need to have at least 100 Naira. This option is only available for the prepaid subscribers of Airtel. It’s also possible to purchase bundles, like Weekend MAX Extra, Premier Connect and Talk More using Smart Talk! It’s another great Airtel prepaid plan. This tariff is specially created to keep your whole tribe in contact. It will provide you the best data bundles and calls to all Nigerian networks. At the same time, it allows you the night browsing which only leads to viewing your favorite films. If you want to migrate to this data plan, then you just need to type *312#. What are the special benefits that you can get with this data plan? 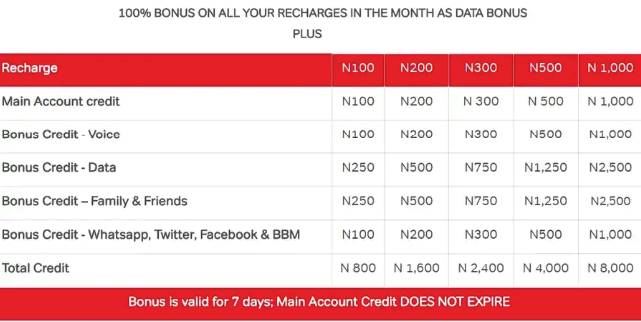 If you purchase data bundles for more than five hundred Naira, then you can get extra 30% bonus on these bundles. The same rule works if you get your data bundle purchased in one of the campuses of any University. Calls to all networks are just 11 kobos per second. You can get 1 GB of data just for five hundred Naira. The validation period is 7 days. It’s the prepaid tariff plan that comes with the idea that children and parents should stay connected. Smart Trybe Junior is a perfect educational application for your child. This application is provided Nigerian Federal Ministry of Education cooperation. It means free calls and SMS to Dads and Mums. When parents recharge their tariff plans, 10% bonus goes to the kid’s mobile account. Browse for more with 100% bonus on the data purchases from 200 MB. If you need to opt to this Airtel prepaid plan tariff, then you just need to type *317#. Your kid will get NERDC courses in fun and entertaining format. It’s one of the revolutionized Airtel prepaid plans recharge. It provides 15 kobos per second. It’s the flat race for all networks. You can switch to this plan by typing *314#. Moreover, the international calls will be provided you for the flat rate of 20 kobos per second.